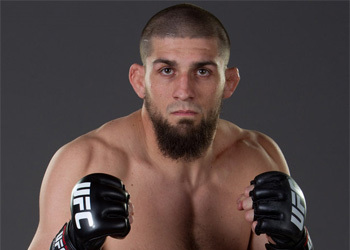 According to reports, “The Ultimate Fighter 11” winner Court McGee will break in his freshly inked six-figure Octagon contract against Ryan Jensen at UFC 121. Sources close to the situation confirmed with MMAJunkie.com on Monday afternoon that the middleweights would meet inside the Honda Center in Anaheim, California. McGee owns an impressive 10-1 record and earned his roster spot by submitting Kris McCray in the 2ndRound of their finals match-up at “The Ultimate Fighter 11 Finale” last month. It was his fourth consecutive W.
Jensen holds a respectable 15-6 mark, however is only 2-4 in the UFC. He tapped Jesse Forbes via guillotine choke at UFC 114 in his last outing, earning him Submission of the Night honors. Ten of Jensen’s wins have come by way of submission. It’s unclear whether the scrap will appear on the televised portion of the pay-per-view broadcast. Their status will likely depend upon how well the world’s biggest mixed martial arts promotion is able to fill out the remainder of card. As previously confirmed by UFC president Dana White, a heavyweight title fight between champion Brock Lesnar and top contender Cain Velasquez will headline the October 23rd show.